Inquire about the Beautyrest Black sale. For sleepers in need of a fully customizable experience, Mattress Kings Veterans Day Sale event also includes $600 off on selected Tempur-Pedic adjustable bases. MIAMI, November 9, 2018	(Newswire.com) - Mattress Kings is a family owned and operated authorized retailer for several luxury brand mattresses. The company has over 25 years’ worth of experience sourcing quality mattresses to meet their customers’ particular sleep preferences. The Veterans Day sale event is running through Nov. 27 in order to make it easier for Miami and North Miami Beach residents to sleep at night. For sleepers in need of a fully customizable experience, The Mattress Kings’ Veterans Day Sale event includes $500 off on selected Tempur-Pedic adjustable sets. For couples with completely different sleep preferences, The Mattress Kings is offering a discount on Tempur-Pedic adjustable sets. Partners can stay together at night while accommodating their own personalized needs for comfort. When customers choose a TEMPUR-Breeze mattress with a TEMPUR-Ergo Extend power base, up to $500 will be removed from the final sale price. TEMPUR-Breeze mattresses vary in firmness to accommodate any sleep preference while maintaining adequate cooling comfort for optimal resting temperatures. Customers have the opportunity to save $200 on individual Tempur-Pedic Elite or Luxe mattresses. Additionally, Mattress Kings will take $200 off any size Tempur-Pedic base and $100 off any size TEMPUR-Ergo Extend power base. 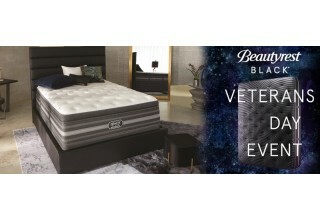 Enjoy a luxurious sleep every night with a Beautyrest mattress available on sale during Mattress Kings’ Veterans Day event. 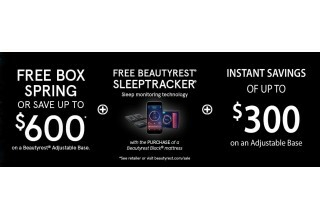 Customers can save $600 on a Beautyrest adjustable base or take home a free box spring with the purchase of a Beautyrest mattress from the Black collection. This purchase of a mattress will include the smart technology from Beautyrest to track sleep patterns in an effort to improve one’s quality of rest. The Beautyrest Sleeptracker monitoring system uses a power processor, tested sensors for accuracy and a sleep coach to improve sleep quality in order to help customers rise the next day with more energy. Serta Mattresses are on sale during the Veterans Day event at Mattress Kings in Miami and North Miami Beach. Call 1-888-708-KING for more information. Save up to $400 on select iComfort Serta mattresses during this Veterans Day sale event. The iComfort series compiles the latest sleep technology with pressure-relieving memory foam providing the support needed to allow muscles and joints to rest fully supported. Their hybrid series includes cooling layers to help sleepers avoid tossing and turning from uncomfortably warm temperatures. 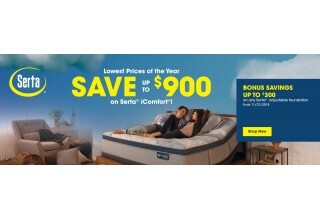 Customers also have the opportunity to save $500 off an adjustable Serta base to raise the bar on their ultimate comfort preference – a potential total savings of $900 for a whole new bed set. Veterans Day Event Sale Offer is valid from Oct. 28 through Nov. 27. Bonus savings on any Serta adjustable foundation ends 11/27/2018. 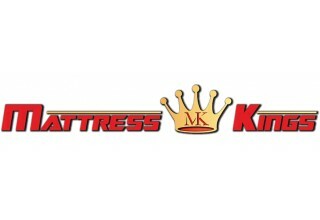 For more information about the Veterans Day Sale event, please visit Mattress Kings online at https://www.mattresskings.com/ or visit any one of their locations on Bird Road and Flager Street in Miami, North Miami Beach, Cutler Bay, Fort Lauderdale or Hialeah, Florida. This Labor Day, get a free box spring or up to $600 off a Beautyrest SmartMotion Base plus a free smart bed bundle with the purchase of select Beautyrest mattresses. July 4th discounts on luxury mattresses: Serta, Beautyrest, Stearns & Foster are found at all Mattress Kings locations.